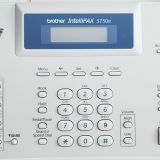 Brother intelliFAX-5750e Business-Class Laser Fax Machine, Copy/Fax/Print - This network-ready, business class laser fax features SuperG3 33.6K modem and 8MB memory with dual access that stores up to 600 pages for out-of-paper reception. 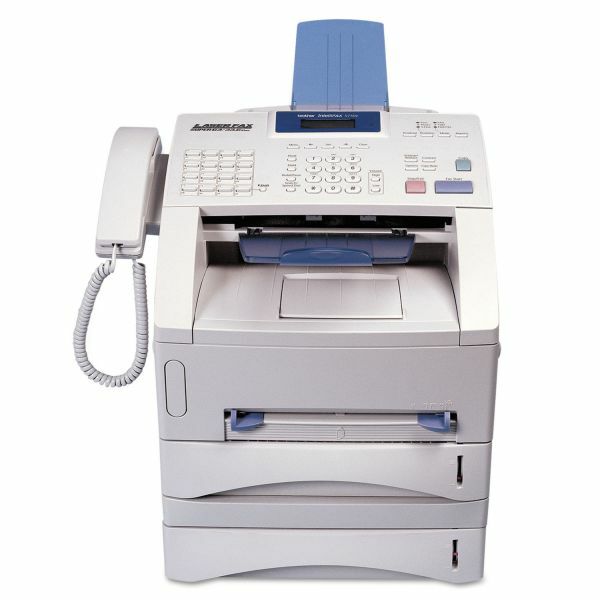 Also offers QuickScan, 232 auto-dial locations, and 282 broadcasting locations. A 500-sheet paper capacity (dual 250-sheet trays), 50-page document feed and four-day memory backup combine with a high duty cycle and high-yield consumables to handle demanding business applications cost-efficiently. 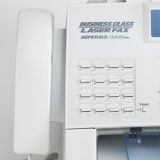 Network-ready fax offers USB, Parallel and Ethernet interfaces. 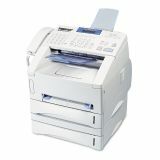 Laser fax generates up to 15 copies per minute, sorts, enlarges and reduces. Offers PC Fax Send Standard, Caller ID/Distinctive-Ring Ready, Fax forwarding/paging, remote fax retrieval, and secure fax with password. Monarch Envelope B5 - 7.19" x 10.13" Custom Size A4 - 8.27" x 11.69" A5 - 5.83" x 8.27" B5 - 6.93" x 9.84" DL Envelope - 4.33" x 8.66" Letter - 8.50" x 11" Executive - 7.25" x 10.50" Legal - 8.50" x 14" C5 Envelope - 6.38" x 9"
22.80" x 21" x 27"